Fiona, thank you so much for giving Chloe and Sam such wonderful memories of their wedding day. From the very start of the day to the end of the evening you were truly professional – and so in obtrusive, we hardly knew you were there. As soon as we knew Chloe and Sam were getting married you were always our first choice. Our only choice actually! My husband wouldn’t entertain anybody else. 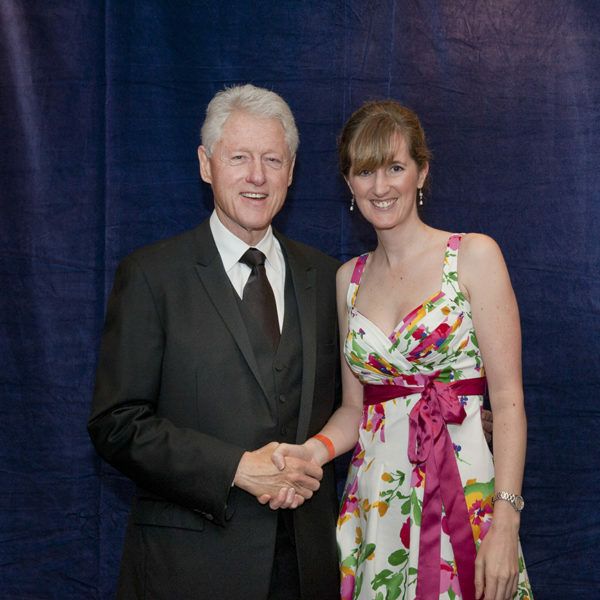 He remembered you from a photography group he went to a few years ago and said how good you were – and that was it! We are just so happy that you were available for the day. Your photographs are amazing and I just want to say how happy we all are with them. Fiona, as you know we are absolutely over the moon with our wedding photos and honestly cannot thank you enough. From the moment we first met you we just fell in love with your passion for what you do and this really shone through in our photos. You felt like a fifth bridesmaid on the day and really did make everyone feel comfortable. You listened to what we wanted and also gave your advice based on experience. 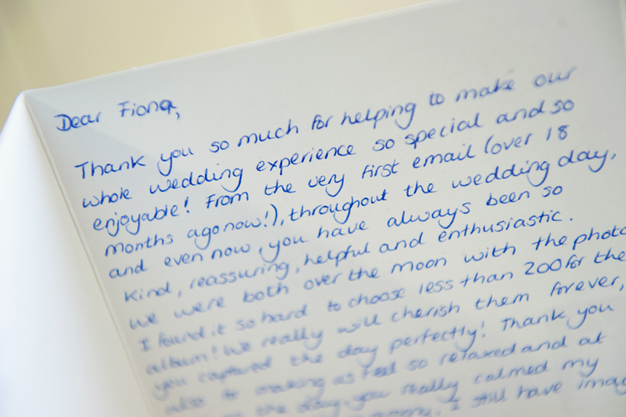 Then when we received our albums….WOW what can I say the time and effort put in to making them so perfect, it really helps us to relive our perfect day looking back through them and everyone we have shown them to say how the quality is amazing – which it is. If anyone is reading this and debating whether to go with Fiona, I honestly cannot recommend her enough and the cost is a small price to pay as let’s face it these are your memories. 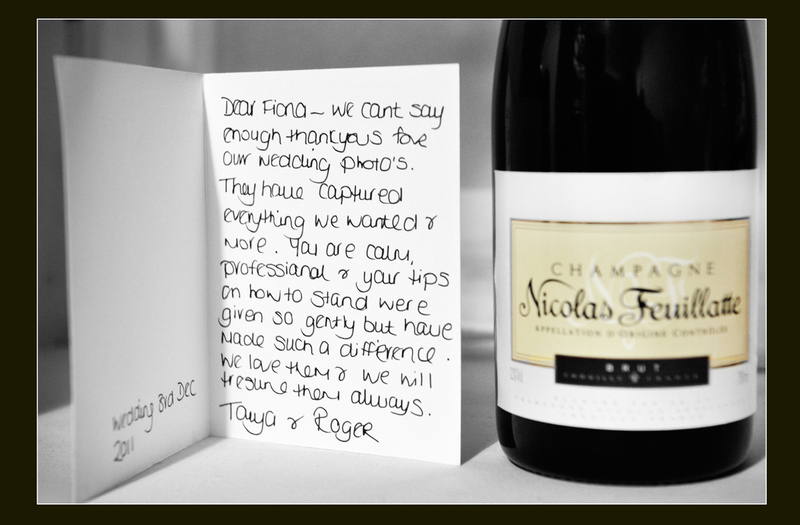 Thank you so so much Fiona, we now see you as a friend and look forward to seeing you again in the near future. For anyone that is looking for a wedding photographer, I can’t recommend Fiona enough. From our first meeting where we chatted through the plans of the day to her producing the most amazing photos- what a star. We are thrilled with our photos and I have so many favourites. The way she captured the day really tells a story and you hardly knew she was there. For anyone that is trying to decide on a photographer it is money very well spent (well with Fional anyway)! My husband was a little ‘dubious’ about spending money on a photographer, however he is now very happy we did. 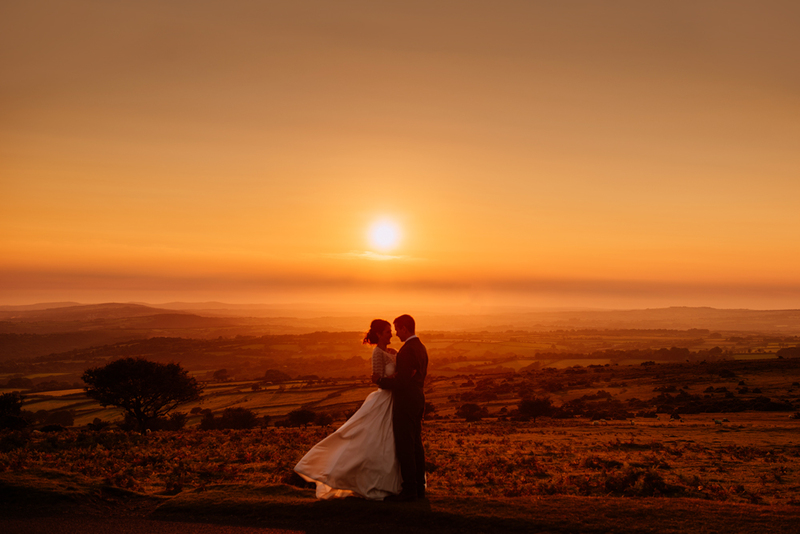 We are completely delighted with the wedding photos – they are spectacular. We had such fun staying up last night and going through them – so many beautiful and poignant (and hilarious) ones to choose from! Especially loved the photos that caught those authentic, off-guard, lovely moments between us, family and/or friends. I can’t possibly choose favourites – there are just far too many. Just fantastic. We couldn’t have asked for anything more or better – thank you so, so much. We’re so glad we found you and thrilled you captured the day so magnificently. Besides this, it was wonderful sharing the day with you. You’re such a lovely gal, and it was great having you join us in all the festivities – so many people commented on how lucky we were to find such a lovely photographer. We really hope to stay in touch and go for a drink next time we’re in Devon. Congrats on your own big day – wish you all the happiness in the world! I wanted to thank you for these AWESOME pictures you took of me and Zita-Rose. The way you guided us to make the best out of every picture. The way you blended in and you could take those relaxed once in a life time shots of us. I love all the pictures you have taken and am so impressed of the great lengths you went to make everything perfect, at every spot or angle. You have my unreserved recommendation. Wow, great photos, I’m very pleased with them, thank you. I’m going to make a picture board and have a picture of me with Richard Branson with you taking the photo – to do it on his island would be nice aim high they say! Looking forward to seeing you again soon – and thank you very much again – it’s not often I like photographs of myself. Jeff Moores here, father of the bride at Lisa Moores and Jared Flashman’s wedding. If this post comes up twice so much the better. After I finished typing it the first time a message came up saying not allowed? Anyway, not to be put off, I wanted to say and let everyone know that we were all extremely pleased with how hard you worked and the results of the photo’s. It was like having a professional photographer and personal friend there at the same time. The results speak for themselves but as not everyone can view our photo’s I will tell them that all of them, from pre ceremony, ceremony and post ceremony are so well done as to tell the story of day. If anyone ever needs a really good professional yet friendly photographer, they can do no better than engage you. Dear Fiona, it was great to see you at the Business 2012 event! Thankyou so much for the photos you took of me! It was such a pleasure to see you being called in to such a large scale high profile event to take the pictures of some Britains most successful entrepreneurs such as Sir Alan Sugar, James Caan and of course Sir Richard Branson amongst a host of other stars! It was interesting to observe you at work behind the scenes, and to see all of the long hours and late nights you put in to make sure that you get the best shots of the whole event. 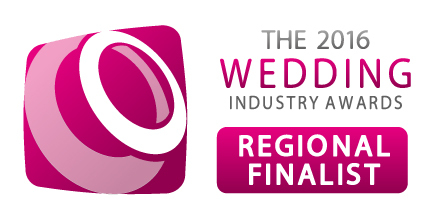 Thankyou Fiona, i can see why you have won awards, and i look forward to using your services again and will absolutely be recommending you to my friends! Fiona is a dear friend of me and my husband and she did both our wedding pictures AND most recently some stunning pictures of our two children. 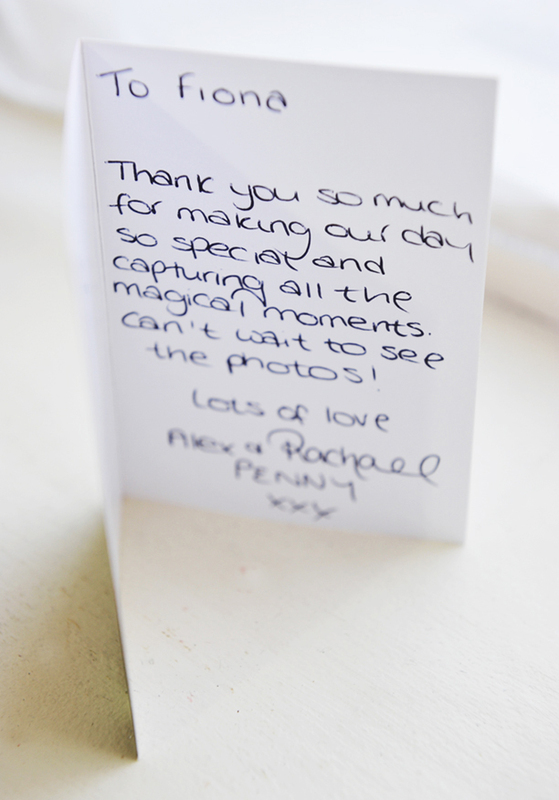 Having just received our wedding books from you we felt it only right to express our complete and utter delight at what you have created for us to remember our perfect day. 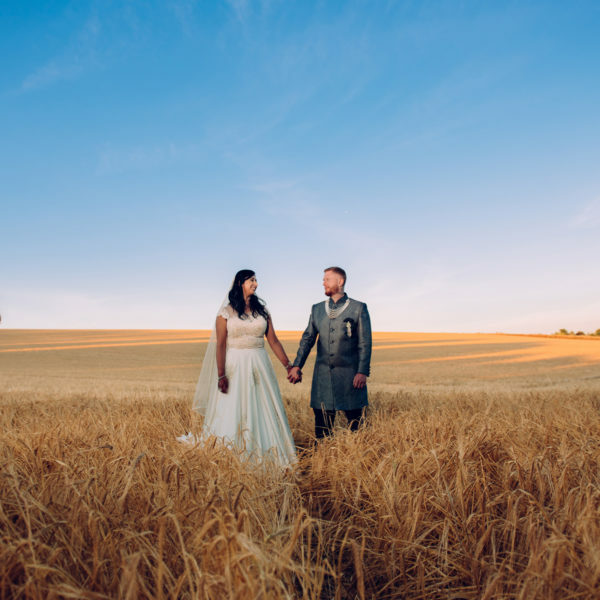 It goes without saying that the decision regarding wedding photography is not one to be taken lightly and, for us, we really wanted to know was that our special day was in safe hands and, specifically, we didn’t want to feel like we were ‘on show’ and in a ‘photo shoot’. This you dealt with calmly and with the most amazing professionalism throughout the day and the resulting photos capture the spirit of the day perfectly. The book is absolutely beautiful and tells the story of the day perfectly and with a touch of class. The arty design of the pages and use of layers to make the story flow is a stroke of genius. Thank you again for completing our perfect day. A huge thank to you and Jon for photographing our wedding. The pictures are fantastic and the experience was very relaxed. We were anxious about our wedding photography as we have found photographers at friend’s weddings a bit pushy and invasive. From our initial meeting to the wedding day, your relaxed persona has put us at ease, and the result has been lots of amazing photographs which we will treasure forever. 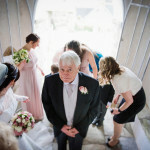 You have a talent for catching those little looks and funny moments to give natural and relaxed photographs, as well as an artistic eye for those more unusual shots. Many of our guests commented on how nice you and Jon were, how hard you worked and that they enjoyed being photographed by you. I won’t deny that I was a bit panicked when I got into my dress, but the pre-wedding pictures really helped to distract and calm me down. We can hardly wait now to select our pictures for the album and see the finished product. We would definitely recommend you whole heartedly.